Restoring the Picket Fence: Save that water! If you're like me, you tend to run the water to let it warm up before hopping in the shower. 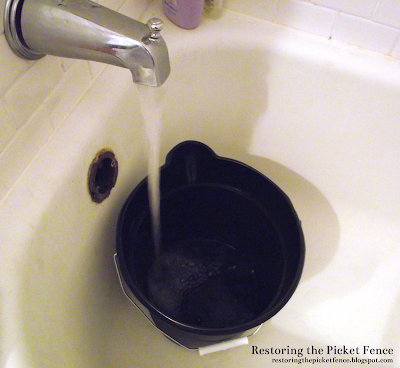 Instead of letting that water run down the drain, gather it in a bucket. 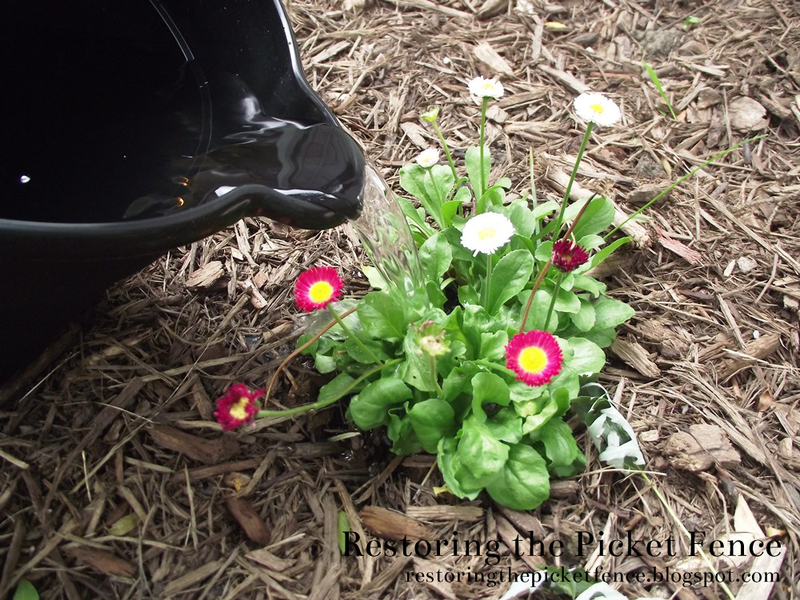 Take the bucket outside after your shower and give your plants a drink! 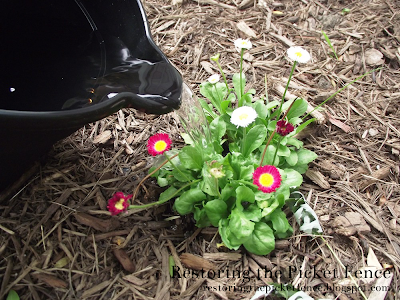 Give your plants a drink.